[post_content] => The Society is inviting nominations for this year’s fellowship and outstanding achievement awards designed to recognise people who have made a significant contribution to homeopathy. The fellowship is available to Society members who have produced innovative work in research or new methodology or made a particularly telling contribution to the practice, promotion or teaching of homeopathy. An honorary fellowship is also available to non-members although nominees should have strong links to the Society or homeopathy in general. The outstanding achievement award recognises excellence in the practice and promotion of homeopathy over the last two years and is open to practitioners, members of the public or groups. 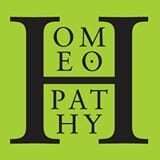 “A lot of the pioneering work that goes into the practice of homeopathy and the maintenance of its appeal and relevance goes on ‘behind-the-scenes’. These awards are the perfect opportunity for members to officially recognise some truly inspiring contributions,” said Chief Executive Mark Taylor. The Society is inviting nominations for this year’s fellowship and outstanding achievement awards designed to recognise people who have made a significant contribution to homeopathy.